- No tweet longer plug-in (at least I couldn’t find one. In the market description it mentions tons of features but the one that stood out to me were; posting imaging/ and video natively with yfrog, shorten URL, managing your twitter profile, widget, recent hash tags, and the plug-ins. From what I seen all of the features work pretty; the only ones I didn’t really mess around with are the experimental features (multiple accounts, and twipic video preview). This is one of my favorite Twitter apps, but some things seem to bug me. One being the sign in process, I mean I guess it is made that way for added security but is just annoying. It is one of the main reasons I didn’t even bother adding a second account. Another thing that I found rather annoying is that there are no auto refresh features (at least I didn’t see it in the settings). By now most social media apps should have an auto refresh feature or at least refresh upon opening the app. Another thing that I found a little annoying is that there is no Tweet longer plug-in (or at least I couldn’t find one in the market). 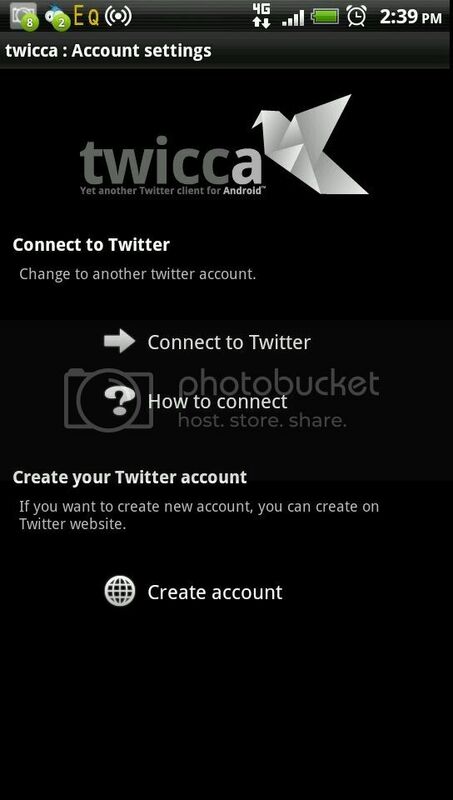 Overall this app is a really good clean twitter app that I highly recommend if you don’t like the stock one or TweetCaster.